The building is part of the new campus block designed by Verstas Architects. Stairs ascending from the entrance invite to explore the building. Project spaces and classrooms are around an atrium. Limestone, oak and warm metal colour create an ambiance that is both cozy and dignified. The vision of Aalto University is to bring design, technology and business together. 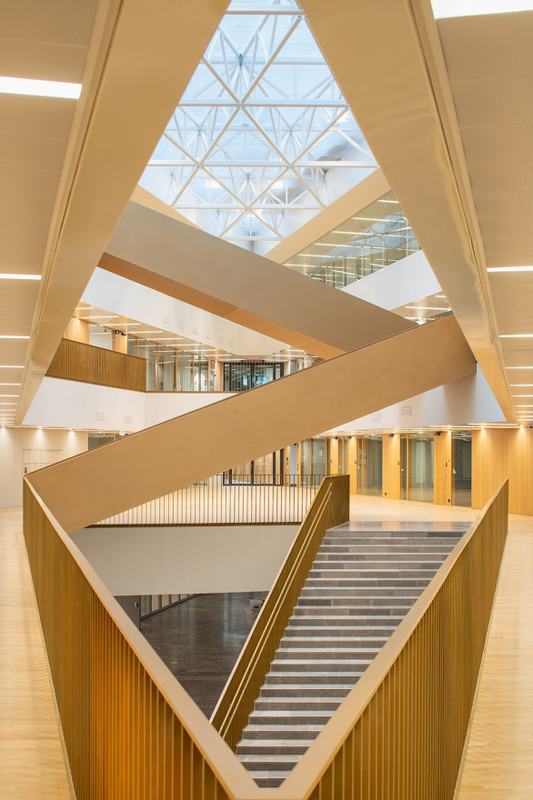 In line with the vision, the Aalto University School of Business (formerly Helsinki School of Economics) built its new main building in Otaniemi (Espoo, Finland), the main campus of the university. The building is connected to the Aalto University School of Arts, Design and Architecture (Väre Building) and the two schools also share spaces and have common courses. Besides housing the two schools, the new campus block, designed by Verstas Architects, comprises the shopping centre ‘A Bloc’, parks and squares, and is integrated to an underground station. The whole is, orchestrated to fit in the iconic functionalist campus, a national scenic area planned by architects Aino and Alvar Aalto originally in the 1940s. 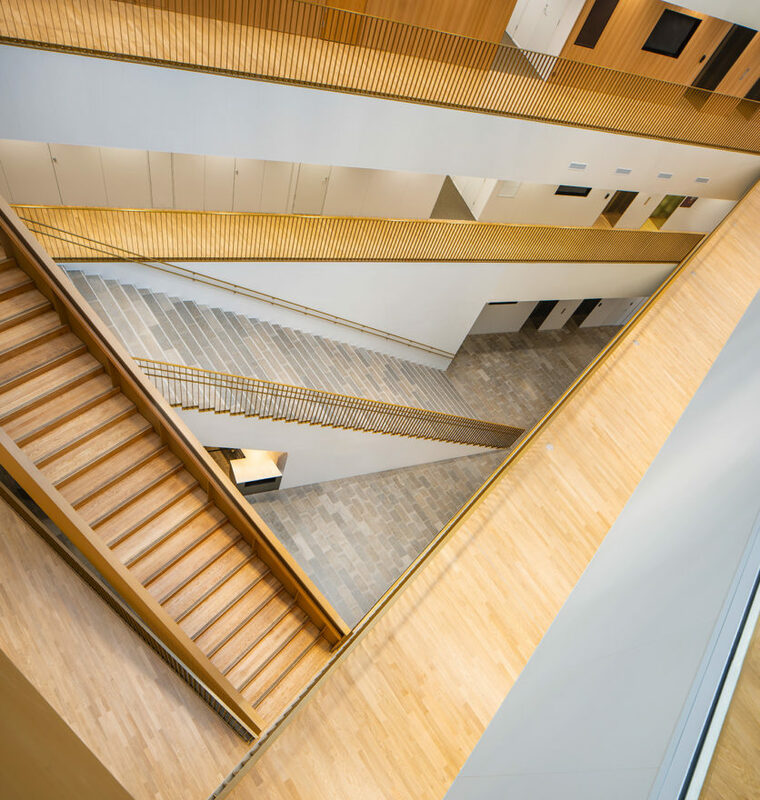 While the building follows the same matrix plan principle as the architecture of the whole campus block, it was tailored and designed in close collaboration with the quality-conscious occupants. 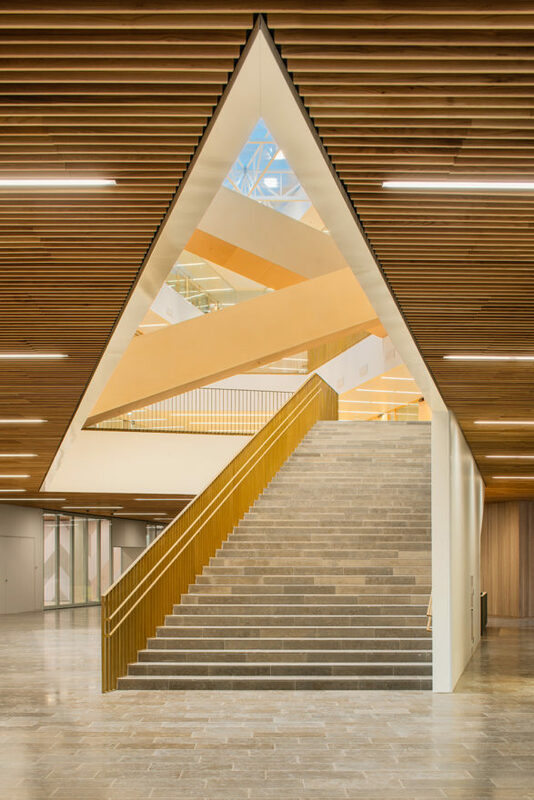 The learning spaces include both traditional auditoriums as well as flexible project spaces and lounges for independent work and casual meetings. The interior materials – limestone floors, oak on walls, ceilings and floors, and the warm metal colour, create an ambiance that is both cozy and dignified. The School of Business moves in early 2019, and the inauguration will be celebrated in April.